Laundry, it’s one of those necessary evils that just need to be dealt with. Sure you can put it off a bit longer by purchasing new underwear or even going without but eventually the task needs completed. Family needs are different. Something may work for one person but not another. I spend most days in other people’s homes and laundry seems to be a point of pain for many. Need it be the action of sorting, transferring, and folding to putting it all away. I have collected tips from clients that I hope help others. I am not going to touch on tips such as stain removing, wool dryer balls, ironing, hanging to dry, etc. This is about keeping up with laundry so that there are no longer piles taking up precious space in your home. Take time to teach children what goes into the hamper and how often. Do you want them to wear a clean pair of pajamas nightly or can they wear the same pair for several days? The same goes for jeans or sweaters or church clothes that are worn for an hour or so a week. Melissa from Chagrin Falls no longer takes the time to fold the clothes of her five children. 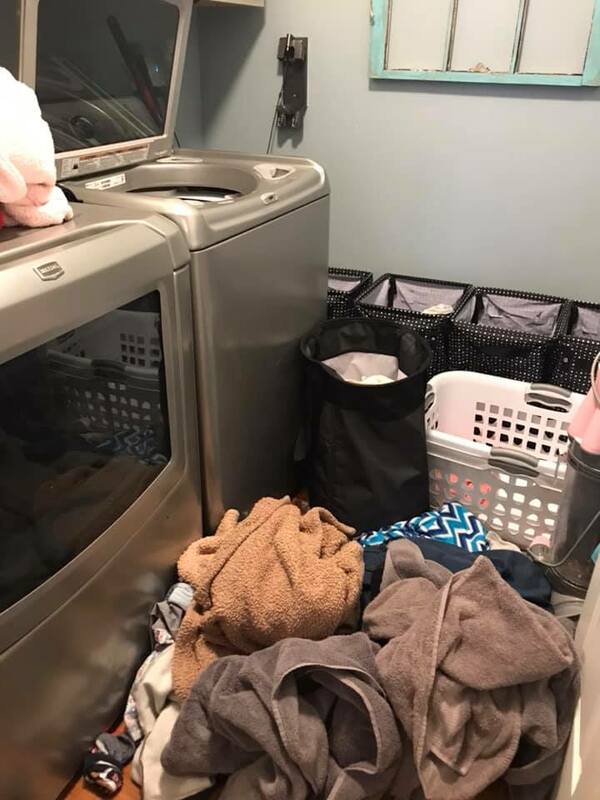 She sorts the laundry from the dryer to the child’s designated basket and the child is then responsible for putting it away in their drawers. Thank you for reading and best wishes in the New Year.